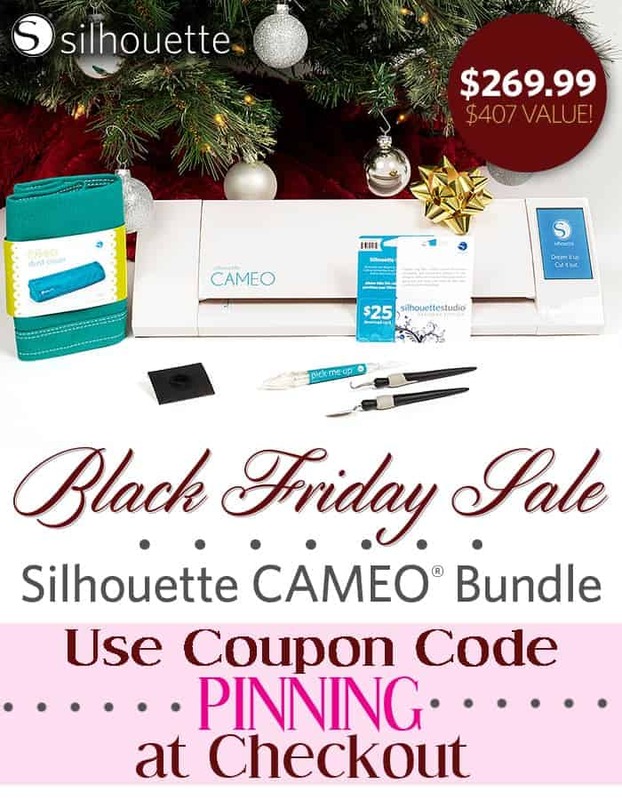 I have all the details for you on the Black Friday sale at Silhouette! The deals are crazy and with the new machine they introduced recently it is the best time ever to get a CAMEO and craft your heart out! Make sure to check back Friday for a fun and simple (because that’s how I roll) Silhouette Christmas project that you can add to decking your halls! Click Here to get the sale price and use promo code PINNING at checkout! 50% off all designs at SilhouetteDesignStore.com – no code needed!